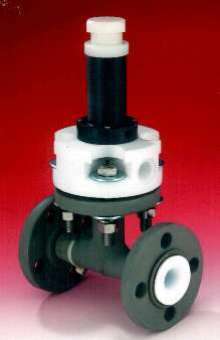 Series CKS consists of self-sealing, thermoplastic check valves for corrosive and ultra-pure liquids. 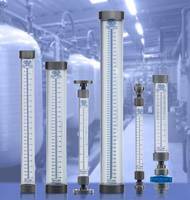 Designed to safeguard process systems, units maintain positive closure even in absence of reverse pressure. Offered in 1Â½, 2, and 3 in. 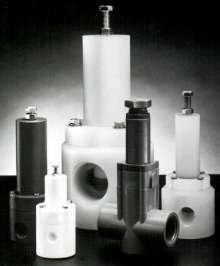 pipe sizes, valves use spring encapsulated with TeflonÂ® PFA to protect liquids from contamination. Standard body material is Grade 1, Type 1 PVC. Cedar Grove, NJ -Plast-O-Matic Valves, Inc., announces the availability of a complete line of self-sealing thermoplastic check valves for corrosive and ultra-pure liquids. 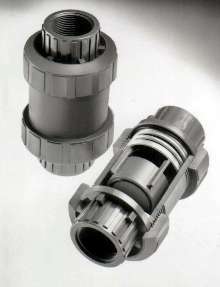 Designed to safeguard process systems, Series CKS maintains a positive closure even in the absence of reverse pressure. 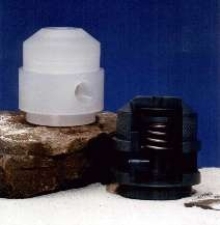 Offered in 1 ½", 2" and 3" pipe sizes, the design uses a spring encapsulated with Teflon® PFA to protect liquids from contamination. The encapsulation technique is an advantage over coated springs, which tend to flake and corrode over time. 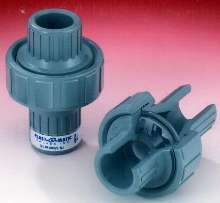 Because of the spring assist, the valve is not dependent upon gravity or reverse flow, providing a significant advantage over ball-check designs. The self-guided poppet automatically positions itself against the seat in an identical location, which results in reduced wear and longer service life. 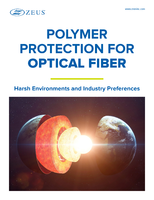 Standard body material is Grade 1, Type 1 PVC; Natural Polypropylene and Kynar® PVDF are also available.